For the past two weeks, I had been reading a wonderful novel by an authoress of Trinidadian origin. It is only today that I finished "Changes" which is the first volume in the Family Portrait Series by Gillian Felix. Adriana Banovic: A fifteen year old actress in a daily soap who is suddenly removed from her role as her character takes a generation-leap. Kevin Banovic: Adriana's elder brother and a popular face in UCLA. 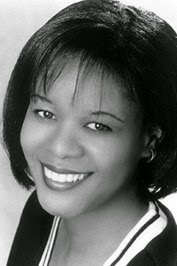 Leighann DaCosta: A famous teenage singing sensation who only wants a normal life. Savi DaCosta: Leighann's mum and manager who puts pressure on her daughter to continue with her singing career. Haze Lyndon: A new boy in UCLA who catches Adriana's fancy on one of his shoots. 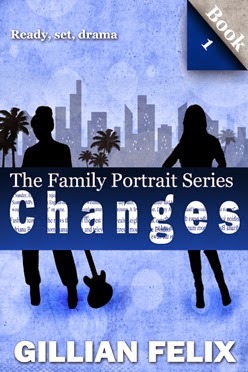 "Changes" is the first book in the Family Portrait series. It is a family drama, mainly about the Banovics. The story begins with Adriana Banovic losing her job as the lead character in a popular TV soap. She is upset because that means she would have to join the Westwood Academy, a school for the rich and famous. She hates the snobbish atmosphere there. Meanwhile, Leighann, a singing sensation stressed with the demands of her busy celebrity life, collapses on stage during her concert. She wants to give up her career to live the life of a normal girl, just as her friend and elder step-sister, L'Wren. Savi, Leighann's mother, is livid. She controls her daughter's every move and enjoys the perks of being the celeb's mum. A few days later, both Adriana and Leighann find themselves at Westwood and deal with the exciting yet mean world of high school. The air is thick with pranks, crushes and friendships. At school, Adriana clashes with her nemesis, Astrid. And off school, she lusts after Haze, a handsome guy she finds at a photoshoot. While the kids enjoy their teenage lives, the parents have their own share of ups and downs. Robin, father to Kevin, Adriana and Zax, learns of the death of his father, Victor. Victor leaves Robin his huge wine estate. Robin never got along with his father when he was young. The story keeps you guessing what will happen - Will Robin accept his father's estate? Will Adriana find Haze again? Will Leighann be happy in her new life? I love how smoothly and swiftly the story proceeds. One can tell it has been written by someone who loves to write and is gifted in the art. Gillian succeeds in keeping the characters unique and interesting. The book holds your interest until the very end. Changes gets an overall rating of 9 on 10 for the excellent storytelling, smart characterization and interesting plot. The story is good enough to be made into a TV series. Thank you for such a wonderful review! Glad you enjoyed it. The story only gets juicier from there. Thanks again.